What Are the Consequences of Perjury? You have probably seen a television show or movie involving a trial where the witnesses swear to "tell the whole truth and nothing but the truth." Indeed, some of fiction and pop culture's greatest legal moments involve the moment when a witness is caught lying under oath, which carries significant legal consequences. 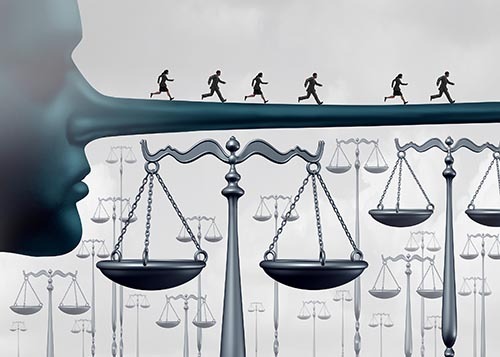 In a world where Americans lie about almost anything — and lie with alarming regularity at that — it may seem surprising that our justice system places such a strong emphasis on truth-telling. Even so, the fact remains that a foundational pillar of our justice system is that witnesses can be relied upon to provide honest testimony when called to the witness stand. As a result, both Arizona and federal law treat perjury as a serious crime with significant legal consequences. According to A.R.S. § 13-2702, perjury is committed in one of two ways. First, an individual commits perjury by making a false sworn statement under oath regarding a material issue that the person believes to be untrue. This form of perjury is committed when a witness lies under oath when taking the stand, for example. There is, however, a second form of perjury in Arizona that does not require lying under oath. Namely, an individual may also commit perjury by making a false and unsworn "declaration, certificate, verification, or statement" regarding a material issue that the person believes is untrue under penalty of perjury. In both instances, the key issue at hand is that the falsehood — whether sworn or otherwise — relates to a material issue that is of importance to the legal proceeding. Arizona has an altogether different penalty for "false swearing", which relates to a false sworn statement that is made by an individual who believes their sworn statement is false. False swearing does not relate to a material issue, however, which is why the offense is treated less severely under Arizona law. False swearing is a Class 6 felony, compared to the Class 4 felony offense of perjury. The consequences of a perjury conviction are dire, which is why anyone charged with perjury needs an experienced Arizona criminal defense law firm by their side. At Tyler Allen Law Firm, PLLC, we have the experience needed to provide a strong legal defense against charges of perjury. Depending on the facts, we may be able to prove that you believed a false statement was true or that the false statement made had nothing to do with a material issue. Successfully raising such defenses will protect your legal rights by creating the legal doubt necessary to protect your freedom. Our team will guide you through each and every aspect of your case, including a trial if your charges cannot be dismissed before the trial itself. Contact us online for a legal consultation to discuss the perjury charge you are facing with a Phoenix criminal defense lawyer who protects the rights of Arizona defendants charged with perjury. What Is Considered Aggravated Assault With a Vehicle?